After launching the Nokia 3, Nokia 5, and Nokia 6, HMD Global is now (seemingly) getting ready to introduce at least one higher-end Android smartphone. 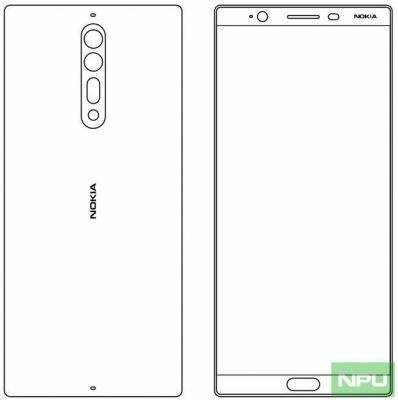 Recently, we heard that a Nokia 8 and a Nokia 9 might be around the corner, and now we're learning that only one of these models may be released in the near future: the Nokia 8. 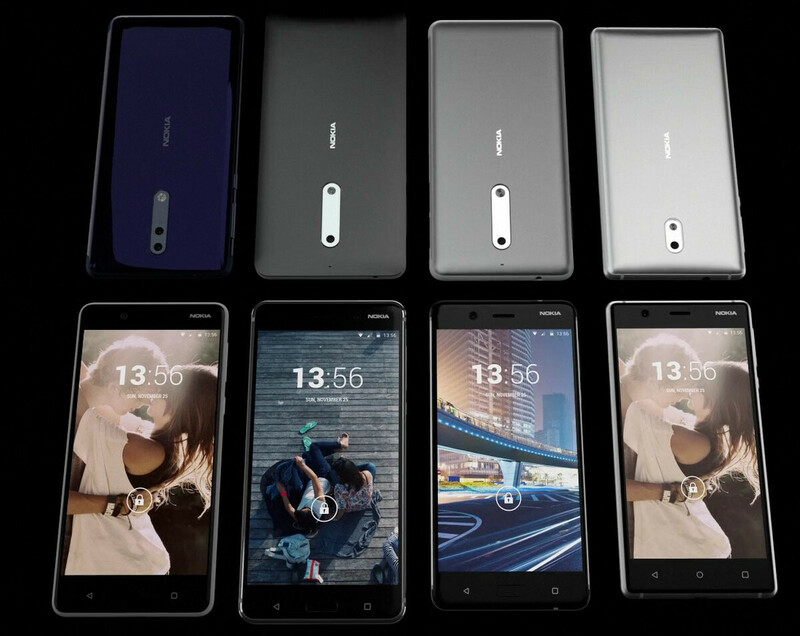 According to German website WinFuture (usually a reliable source), the Nokia 8 has the model number TA-1004. Not long ago, it's been assumed that the TA-1004 would be launched as the Nokia 9, but WinFuture has it that the phone's final name should be Nokia 8. The Nokia 8 is expected to be powered by a Qualcomm Snapdragon 835 processor, further featuring 4 GB of RAM, dual SIM support, and 64 GB of internal memory. The handset likely sports a Quad HD (1440 x 2560 pixels) display of at least 5.3 inches, and could have a Zeiss-branded camera. Reportedly, the Nokia 8 will be available in four color variants - blue, steel, gold blue, and gold copper - and should cost a bit under €600 in Europe (almost certainly, this would mean under $600 in the US). It's said that the Nokia 8 will be released in Europe as soon as late July. If that's the case, we could see the new smartphone being officially announced in less than two weeks' time. Meanwhile, of course, we must keep in mind that, right now, nothing about the Nokia 8 is confirmed. 5.3", large bezel, 4gb ram, probably no stereo speakers, for a flagship? Apparently, the nokia 9 isn't gonna be coming this year, at least from rumors. Hows this suppose to compete with the ip8, pixel 2, lg v30 and the note 8? This will be DOA!!! 1. LG V30 and Note 8 are phablets, this isn't being marketed as a phablet or larger smartphone. 2. 4 GB RAM has been the standard of all high-end devices that have come out this year, and there is no real indication that the devices you have listed will come with more than that. 3. Since when have every flagship featured stereo speakers? There's less than a handful that actually have that feature. 3. Probably the most important point here: the price is supposedly going to be less than $600. You're telling me that if Nokia were to release a flagship device for less than $600 that you're going to automatically pass over it for a device that costs $800 or more? I can go ahead and answer number 3 for them: yes. They'll pass and pay double that, if the device has a fruit logo. Whoops, realized I forgot to change a 3 to a 4. 1. Phablets are the flagship standard now (5.5" and above). The GS8 has a 5.8" screen, iphone 8 will be 5.8", lg g6 is 5.7", htc u11 is 5.5", op5 is 5.5", pixel is 6", v30 is 6", and the note 8 will be 6.3". 2. 4gig ram has being the standard for 2 years now and this is a late 2016 flagship release so future proofing is absolutely needed here with apps are getting more capable as days go by. The note 8 is rumored to have 6, lg v30 is rumored to have 6, op5 has 8, moto z2 is rumored to have 6, mate 10 will have 6 and the ip8 3 is like 8 on android. 3. Yes, stereo speakers have not become standard yet, but its all the more reason they should have it. To compete. Even at that i can mention a few that have them, namely; The iphone 7+, the htc u11, xperia xz premium, huawei p10+ and the pixel 2 is rumored to have it too. 4. You get what you pay for. I'd rather pay for an ultra premium iphone 8 and the powerful galaxy note series than settle for an affordable, "good enough" smartphone. On number 4: For your sake, I hope that your wallet will thank you, but I highly doubt it. I used to be a little bit like you... wanting to spend whatever it took to get what I wanted most (and going broke doing it, plus my ex-wife was a far heavier and much more impulsive spender than even me). So, one divorce and one bankruptcy later, I have come to my senses, and I am now very very happy to have "good enough" as long as it doesn't cost me an arm and a leg. And for my purposes, entry-level and mid-range are now plenty good among a great variety of brands. Thanks. Probably the best piece i've read all week. Hope you're good though? Glad you liked it. I sure thought it was funny, too. No worries, though, I am much better off these days thanks to the adjustments in my tastes. Dude, what's the point of working and making money if you're not going to spend them on what makes you happy? I'm sure someone must have told you at some point that money can't buy true happiness. They were right! I haven't made a lot of money in the past few years, and being on disability is kinda crappy, but I have managed to squirrel away a good stash and a nice rainy-day fund. I was disciplined, didn't spend more than I needed to, and took care of all of the essentials. I was even able to afford a few things that I did want, and I made some reasonable Christmas wish-lists that got some attention, so I was gifted a few things that were really nice (like my iPod Nano (2015), for example) and didn't spend any money for those. For the most part I like my smartphone, and I'm on track to buy a new one in the next year, and I don't think I'll regret sticking with an entry-level device. I don't have a lot of money, but I am fairly satisfied with the stuff I have now, and once I get a job where I can use my degree I will be even better off than I am now. Things can only get better from here, and so I am fairly optimistic (and I would say I am happy - I still have unrealized hopes and dreams, but hey, who ever lives out all of their dreams, anyway?). Maybe money can't buy happiness, but it's better to be miserable, having lots of them than be miserable and poor. I'm sure things are the other way around: if you manage to have a money-free life, you'll manage to build your happiness, while struggling means you almost definitely spend precious physical and mental resources, being frustrated. I'm sure you build yourself a great life - and I'm glad you are happy with it - but I (and I speak only for myself) can't agree with your choices when considering some things you buy. I am always buying the best thing I can afford, because life is meant for living and I won't get a second chance to do it; a shirt is not only covering my body, it is touching it; a perfume is not only keeping the odor under control, it caresses the senses; a phone is not only used to talk, you keep it in the pocket, in your hand, it touches the face, it should be an enjoyment (a boring one, because you don't want to use all the time, but nevertheless an enjoyment). Those are my 2 cents. 1. Yes, if you use an old definition that hasn't been updated since the launch of 18:9 near bezeless screens. There is still a distinction, however. The Note 8, V30, iPhone 7S Plus, and Pixel XL all compete against each other, but do not necessarily compete against the smaller flagships. And remember, there is still going to be a regular (non-premium) iPhone with flagship specs that should continue the same screen size around 5 inches. In the end, I doubt there are going to be people that will overlook the Nokia 8 just because it doesn't have that .2 inches. It's a negligible difference. 2. What app needs 6 GB of RAM? I don't even know of any apps that need the 4GB of RAM. And you're going by rumors, which coincidentally this article is also based on rumors. So nothing is really known yet. And again, this is a sub $600 phone, not a $800+ device. There are bound to be areas where it will not be at that same level, but it does not exclude it from being considered. 3. There has been no mention of whether it will have stereo speakers or not. YOU assumed that with no real basis in any kind of rumor or leak. In fact, if you knew anything about Nokia besides just bashing them without any real knowledge, you would know that the low-end Nokia 6 has dual-speakers with Dolby Atmos certification. 4. It should be noted that this is the Nokia 8, and there have been several indications that there will be a phone that slots above it. So, before casting judgment why not wait until you see these phones announced? 1. So Apple's first flagship phone was the iPhone 6 Plus. 2. So, Apple's has yet to release a flagship phone 3. So, Apple has yet to release a flagship phone 4. Why don't get an OP 5? 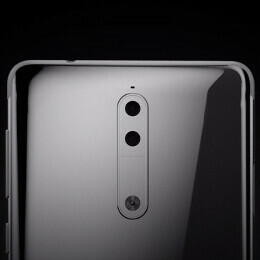 Maybe you should read this first before jumping to conclusions over rumors:https://nokiapoweruser.com/nokia-8nokia-9-confusion-know/ Just a thought. You idiots should try those bezelless phones, preferably with rounded screens, with a tpu-case. It's a nightmare! Especially when some functions require to swipe from the edge down, like adjusting the settings from the camera or adjusting screen-brightness when holding the phone in landscape. Btw, aside from the processor and dual cameras how is this even different from the nokia 6? They look exactly alike. Infact, the nokia 6 has a 5.5" screen even. And here i was thinking the leaked image of the other day was real. What a shameless comeback. Even the essential phone did better ffs sakes (even if it isn't consumer ready yet). Exactly. Too much speculation and jumping to conclusions. I suppose 5.7 inch is reserved for the Nokia 9. Finally, non-glass flagship! The design hasn't been seen yet by anyone. How do you know about the bezels?? The price is awesome. "How do you know about the bezels??" Well, going by what we can see in the image on this article, the Nokia 8 has bezels on steroids. And what's the point of being bezel-less? I honestly feel that Moto XPE had the perfect screen to body ratio. Why? Because it's a 16:9 screen flanked by stereo speakers. I just saw a PhoneBuff speed test between the S8+ and the U11 (which the S8+ lost quite decisively) and no game utilizes the 18:9 screen. Most video content doesn't either. So you end up with a screen smaller than the U11. If let's say desktop monitors start moving towards 18:9 as well and most media is created at 18:9 standards then maybe the S8+ will have an edge (lol) but that'll be what 5 years down the road? Have u seen the leaked screen shots? This is gonna be the bezel phone.